H.14164 - WOW!! Looking for a tropical island getaway? A home where you can hop on your boat in the back yard and be on a world class beach within minutes, or fish the entire day away? Your dreams are attainable and even affordable with this outstanding island property. The home boasts original terrazzo floors and a huge lanai on the water that is the heart of home, lending itself to parties and family gatherings in style. The current owners have cherished this house that is easily one of the most well maintained properties available on the market. 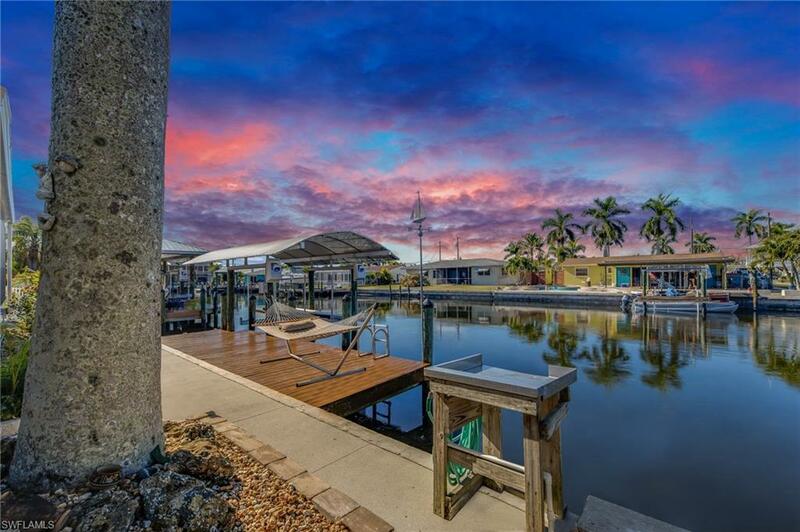 From the storm-proof metal roof to the new, updated bath, newer boat lift and canopy and newer electrical breaker box, this home is move-in ready. Do not miss a chance to be part of a true community where neighbors still have potlucks, luminaries light the streets during the holidays and the community park is welcoming with a playground, boat ramp and kayak launch. Walk to bars, restaurants, the candy shop, art galleries and cute stores from this property. Don't miss this one!